Discount parking for The Sea Grill is available at the following parking locations. Click on a parking location to print a parking coupon with special discount parking rates (including tax) for any 6, 12 or 24 hour period. A parking coupon is required to receive these discount Sea Grill parking rates so be sure to bring one to the garage. Nearby attractions include: Broadway Theater District, Rockefeller Center, Top of the Rock Observation Deck, Radio City Music Hall, NBC Studios and Museum of Modern Art. Parking.com has over 125 parking garages in the NYC metro area! 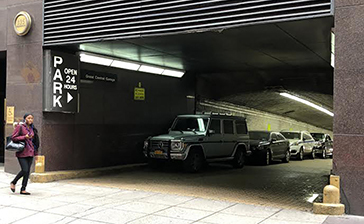 Click to find more Broadway Parking, Midtown Parking or NYC Parking.